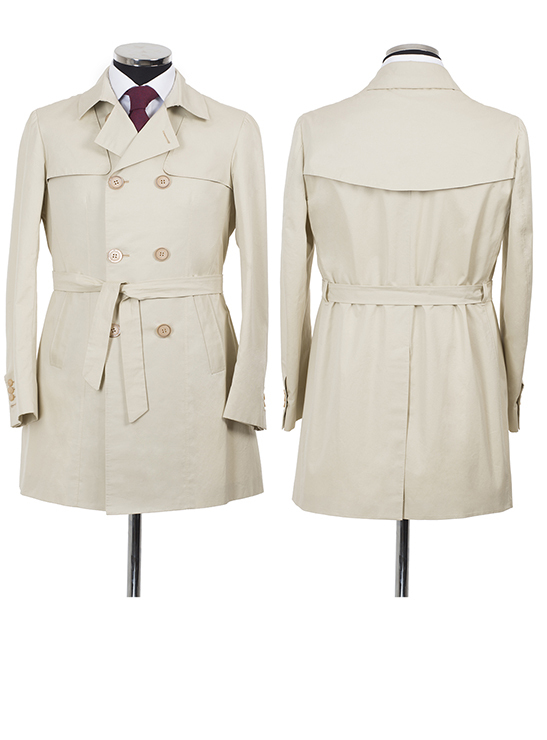 The classic trench made in gabardine, always on trend for every style. This trench is realized in gabardine. It’s a 7 button double breasted with cape. It features side pockets, big split vent and belt. Trench: 100% gabardine, 7 buttons, cape, belt.